Hepatitis B virus (HBV) particle, computer artwork. 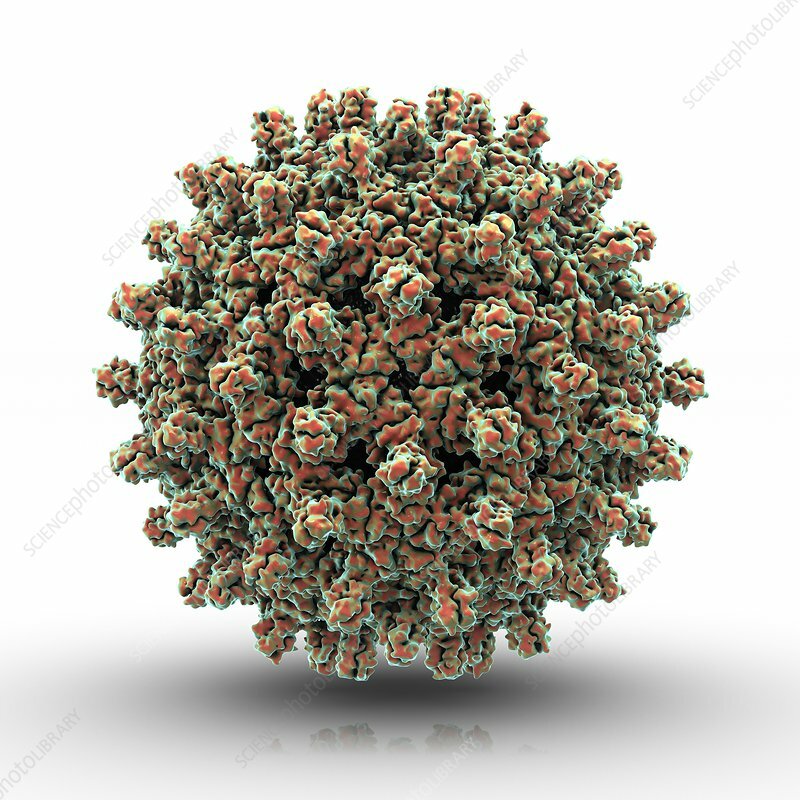 HBV particles (virions) consist of an outer lipid (fatty) envelope and an icosahedral protein core (capsid) encasing DNA (deoxyribonucleic acid), the genetic material of the virus. HBV is transmitted through shared bodily fluids, either sexually or by sharing hypodermic needles. It can also be transmitted from a mother to her baby at childbirth. The virus targets the liver and infection causes loss of appetite, nausea, vomiting, fever and jaundice (yellowing of the eyes and skin).